This stunning hand made Prosperity wand combines semi-precious stones and glass for a one of a kind piece. The green glass shaft of this Prosperity Wand is set with silver and gemstones. Emerald and Citrine attract prosperity and abundance in all things. Peridot opens up new doors of opportunity and amethyst awakens our psychic ability and intuition allowing us to recognize opportunity and allow the prosperity to flow in. 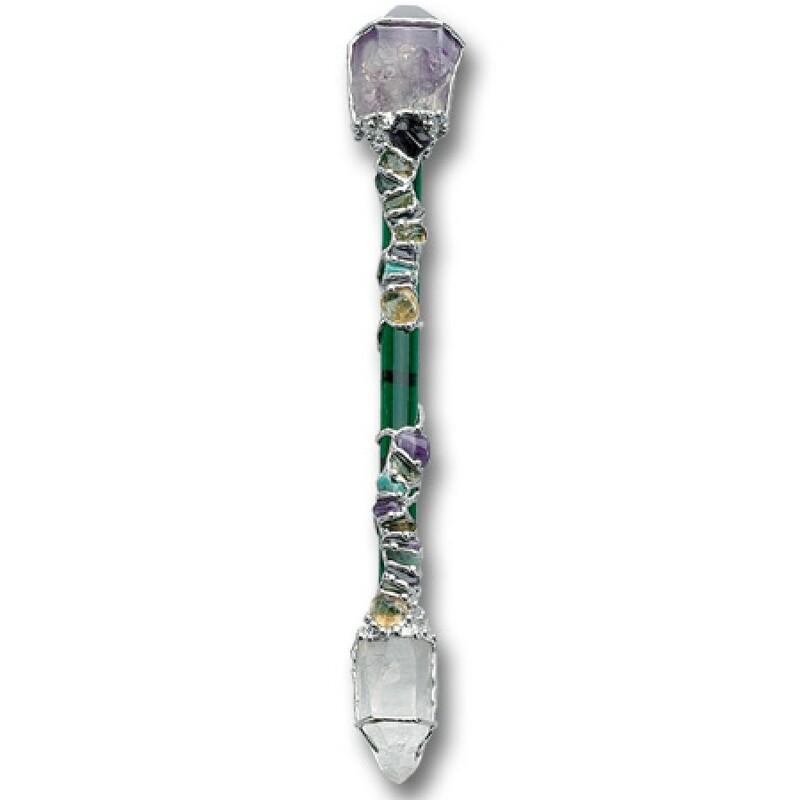 Gemstones: Peridot, Emerald, Amethyst, Citrine and Clear Quartz are artistically designed in this wand that can be used for meditation or spell work. Planetary Influences: Saturn, Venus, the Sun, and Jupiter. 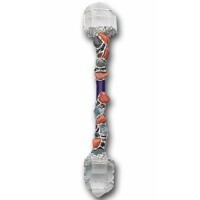 Gorgeous wand is hand made in Florida and each is a unique, magical work of art. Please expect some variation from the photographed example. All large wands are about 11-13 inches long and come with a velvet storage bag and information card. Each wand is very carefully packed for safe arrival to you. 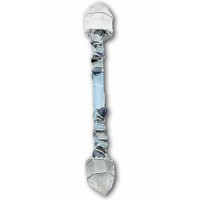 Wands are a magical tool used to direct and focus energy for your specific intention. They are used in many spiritual practices in spell work, rituals, and meditation. Item Number: LS-LW11 | Approximate Size (Inches): 13.00 wide x 1.00 deep x 1.00 high | Approximate Shipping Weight: 2.00 lbs.